Until I got an account, Pinterest was the complete unknown to me. I had no idea what it did, how it worked or why people used it. 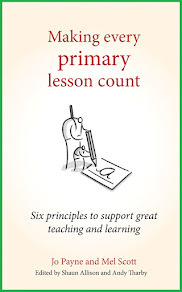 Having now gone through the Pinterest-addict phase, I now feel I know how to use it and how to be efficient on it, especially with regards to finding effective educational ideas. Pinterest is, simply put, an online pinboard. You can pin images from websites, photo feeds and uploads to your own themed pinboards. You can also pin photos from other members' boards to your own pinboards. For a feel of what this looks like, take a look around my pinboards (you do not need to login to do this). Pinterest also has some generic categories of pins, including "Education", which you can browse at your leisure - beware: this is where you can become a pedagogic procrastinator! I decided to organise my pinboards by curriculum subjects, although I could have had separate Reading, Writing and SPAG boards instead of Literacy. This makes it really easy for me to find things I have pinned previously. I also chose to have boards for Displays, Classroom Organisation ideas and First Day activities. Some people decide to organise pins by the type of idea in the image, for example Post It Ideas, Outside Activities. 1) Browse the Education category. This is the most time-wasting of the 3 options but it is probably the most fun. You end up finding and pinning ideas that you'd never imagine you could do. You'll discover ideas from around the world and in classrooms of many age groups. There will be ideas you can adapt, ideas that need certain resources, links to lists and activities which you can try tomorrow in your classroom. You will also pass by bad ideas, worksheets and things that could not work in your classroom - this is where you end up losing time. 2) Search for certain ideas. For example, this week I am planning some maths lessons on adding fractions. I simply typed "adding fractions" into the search box on my Pinterest homepage and it filtered to all the relevant pins to me. I was then able to search through much quicker and save time. I found some great pins and planned quickly. This is the most efficient and effective way of using Pinterest to help you plan. 3) Pin from websites/blogs. This is something you will find yourself doing once you've been on Pinterest a while. You may read something or see an image and wish to "save" it. Pinterest is your means of doing this. Using a Pin It button on the page or, if there isn't one, the one you installed to your browser, you can pin the page to a board of your choice ready to find when you need it. To pin images onto your own pinboards, you need to find the "Pin It" button. If you are browsing on Pinterest itself, this is easy and is very visible from every pin. However if you are on a website, it becomes a bit tricky. Some "pin-friendly" websites install a "Pin It" button on each page or image so just require a simple click. If you want to pin something from a website which doesn't have clear "Pin It" buttons, you need to install a "Pin It" link to your bookmarks. I have managed to do this in both Google Chrome and Safari and found it quite straight-forward by following instructions here. As well as for educational ideas, Pinterest is also a great place for if you're planning a wedding, doing DIY or cooking. There are also some inspirational quotes and many hilarious internet memes on there! To see how I've used Pinterest ideas in my classroom, please see these posts. 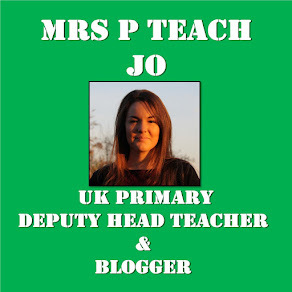 Thanks for this post Jo, you've convinced me to get an account :) love the idea of building potential lesson ideas and planning from that!